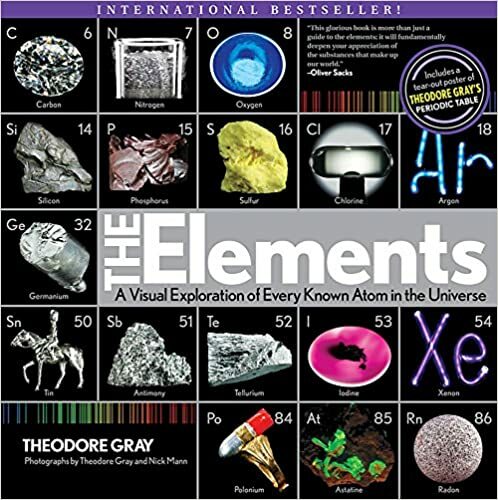 First, it was a big book titled Elements that he got for Christmas when he was… I don’t know, maybe 8? He read it, reread it, and read it some more, to the point that he had the periodic table all but memorized and pretty good understanding of what those elements are. The author was genius in his writing, and it was igniting a genius in my child. 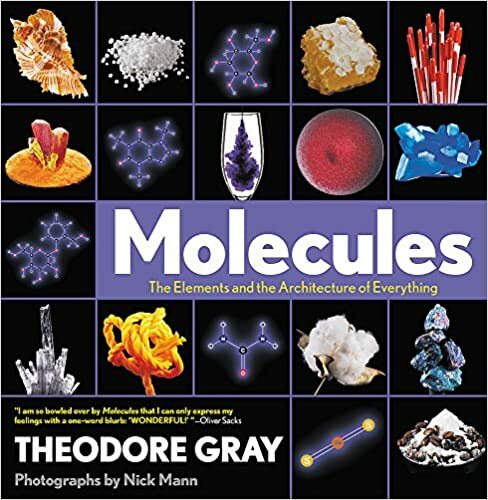 Then there was a new book from the same author – Molecules – for his birthday a year or two later. Again, the book was devoured and digested until it became a part of him. Both books continue to be enjoyed over the years, with just as much delight as any Harry Potter fan ever had in cracking open The Sorcerer’s Stone for the 25th time. You can imagine how I squealed and jumped up and down, then, discovering yet another book of awesomeness at that scholastic book fair a couple months ago. 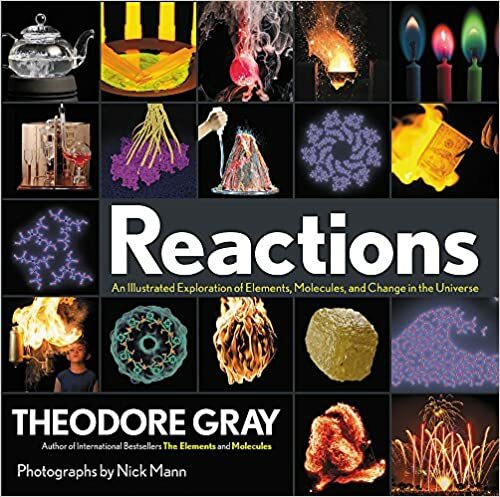 Reactions was destined to join the other two. It brings a special kind of smile to your heart, finding something that you KNOW your child is going to geek out about, and it’s oh-so much fun to know that no matter what else happens, it’s going to be a very happy birthday. After 14 years of watching my kids grow up, I think one of the most exciting parts of parenting may be discovering what lights them up inside. Each child is completely unique, and to make things more complicated, they grow a little tiny bit every day. One week to the next, it might not be all that noticeable – but it makes you pause in aw and wonder when you see them cross milestones like thirteen-year-old-birthdays. They’re the same, but they’re different. This chemist in the making is the same individual whose baby laugh had a hiccough to it that I couldn’t ever get enough of. Right from Day 1, he snuggled like it was the best thing ever. They told me to enjoy while it lasted, because little boys outgrow that eventually… but I knew he wouldn’t. And he hasn’t. The thing that’s different this year is that he’s quickly approaching the size where I might not hold up well to him climbing into my lap for a hug. 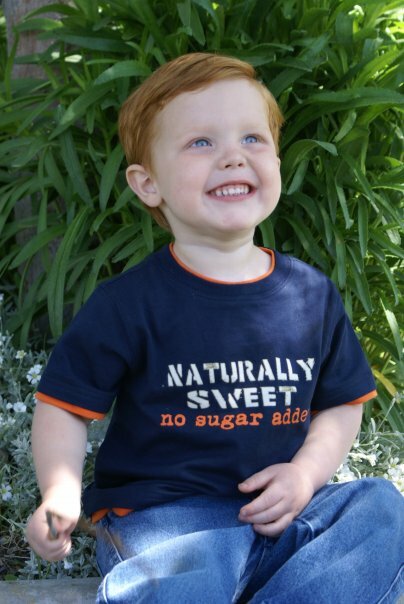 He was the infant who was always happy, always content, never phased at all by anything — unless he was hungry. Then, game over. That hasn’t changed at all, actually. If he’s cranky, feed him. This was the toddler who obediently followed along after his big sister, happily doing anything and everything she said, because she was The Boss from the very beginning… until all of a sudden, one day at the ripe old age of 3, he figured out he didn’t have to. 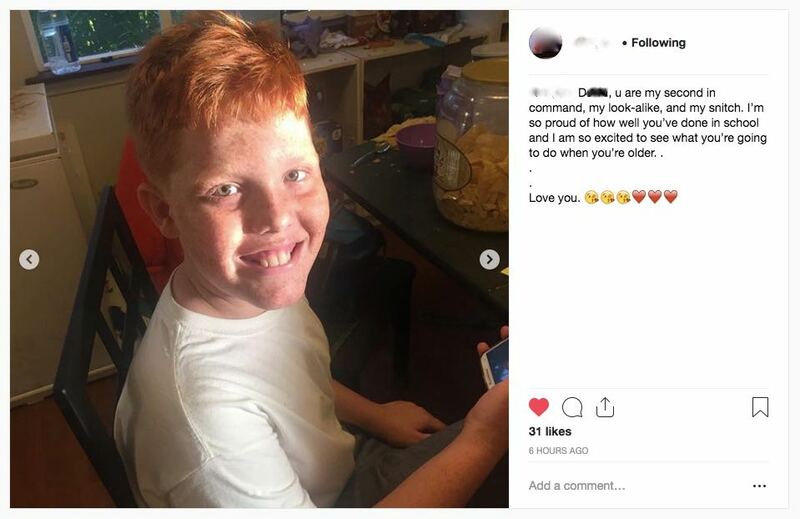 He’s still got that glorious obedient streak – and I’m hoping if I play my cards right, I won’t be mimicking Big Sister’s panic, confusion, or hysteria when he grows into the same epiphany as a big person. As adorable as they are when they’re little, I’m pretty well convinced that this whole adolescence thing is basically awesome sauce. I really had no idea how much fun it is to watch your child move from kid-faced to grown-up-faced. I was the oldest kid in my family, and I was pretty much out of the house for my siblings’ transformations. Turns out, it’s every bit as cute as the baby thing, every bit as magical… it’s just harder to get ’em to pose for the camera. Good job, Big Sister, snagging this one… And even better job, melting my heart with your birthday accolades.